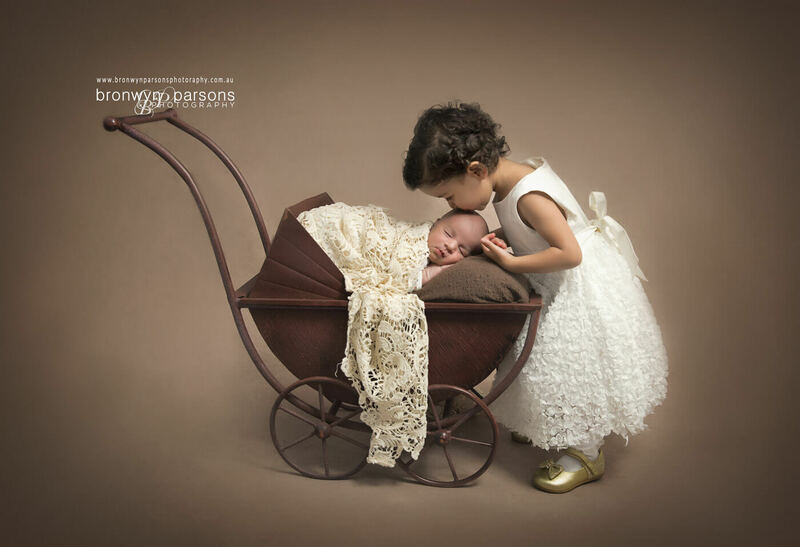 A newborn photography session with a brand new sister or brother can be challenging for siblings. Some siblings adore their new brother or sister while others take a little longer to warm up to the idea. The majority of my clients have a two year gap between the first and second child. Adjusting to a new baby brother or sister can be a rough road for children under the age of three. Developmentally lots happens between age 2 – 3 years. Part of them desires the connection that they remember having with Mum as a baby and another part wants autonomy and independence. Don’t just take photos, they create an experience for everyone. Plan in advance and ask for information about the people they will be photographing. Have a well oiled game plan. 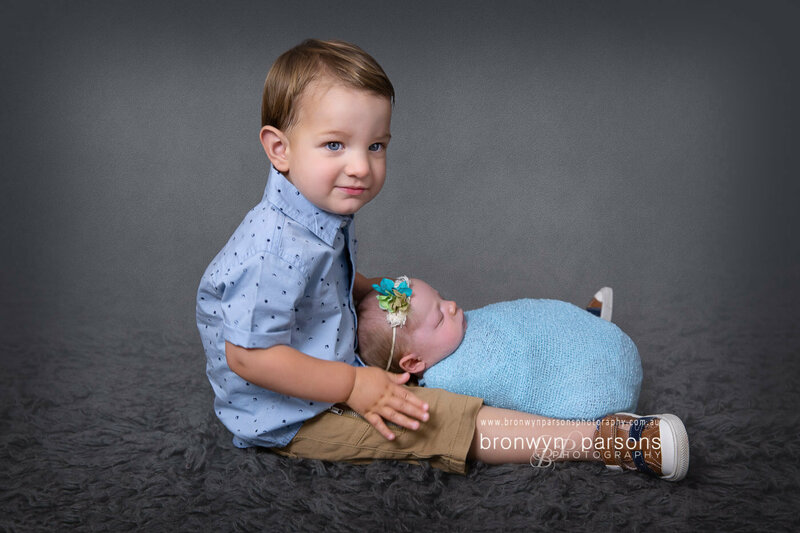 Have the necessary editing skills to combine separate newborn and sibling images together if your child is having difficulty adjusting to their new brother or sister. Provide parents with insight of what to expect behind the scenes and help families fully prepare for the experience. Book early rather than after your baby is born. Booking early presents opportunity to also have family maternity photography. The take home isn’t just beautiful images of your pregnancy, it’s the experience siblings get. Familiarizing little ones with what happens and having a fun time as a family with a photographer sets them up for future photography experiences and helps everyone feel comfortable. By the time your newborn session rolls around, I already have valuable insight into what approach works best with your child. These relationships are immensely important to get the most out of our time together at your baby’s newborn photography session. Share information in your client planning questionnaire to give the photographer insight on individual personalities, family dynamics and personal tastes. Take the time to read through all the information your photographer sends you. Our session guide is designed to fully prepare you and make the experience as effortless as possible. There’s something to be said for actually picking up the phone or dropping by before the session. 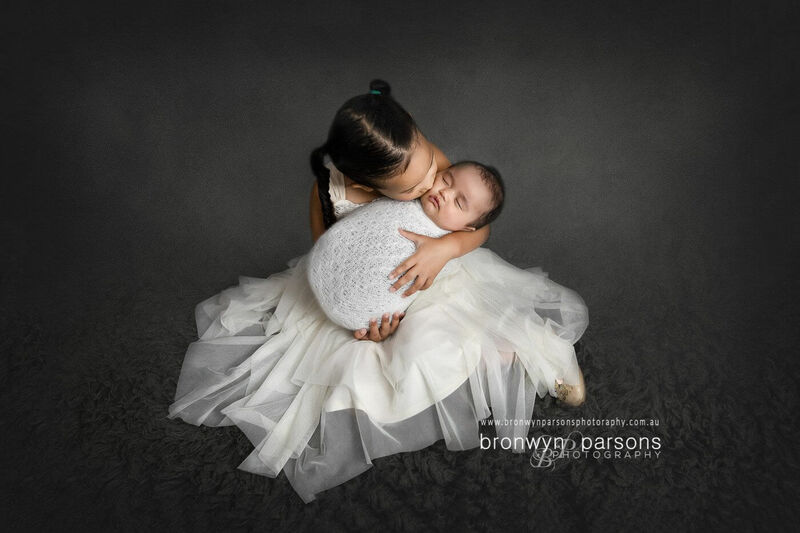 As part of the Bronwyn Parsons Photography experience we provide clients a pre-booking consultation and a pre-session consultation. This is an opportunity to communicate any specific images you’d like, to talk about siblings, for the photographer to share the planned workflow for the day and to ask any questions you may still have. Make advanced care arrangements for siblings to arrive just for the family portion of your baby’s newborn photography session. They respond MUCH more favorably when things are kept short and sweet. 20 – 30 minutes is the perfect amount of time to capture family and sibling connections at your newborn photography session. Try not to use other peoples images or rely on other peoples experiences as an indicator of what to expect from your newborn and siblings. Family moments are unique and each newborn and sibling is different. 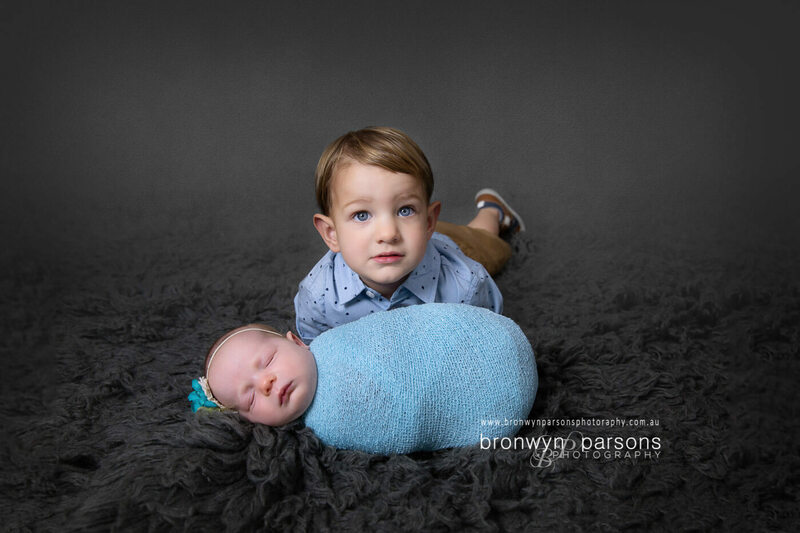 To get you excited about the possibilities ahead, here are some examples of proud big brothers and sisters from past newborn photography sessions.